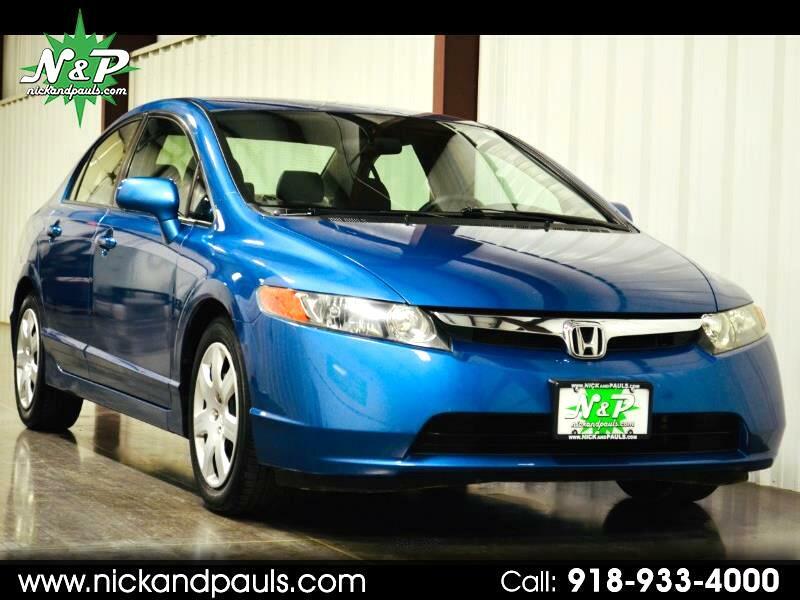 Look At The Ultra Low Miles On This Great Looking 2008 Honda Civic LX Sedan! Only 43K Miles! Now That's Low Miles Girl! For Real! It's A CARFAX 1 Owner! Everyone Loves Those! Runs And Drives Perf Mugerf! Yeah I Said It! You're Gonna Love It! Issue Free All The Way! It Has All The Power Of Grayskull! Windows, Locks, Mirrors.....Even Cruise! 36 MPG?!? Duuuhhh! Yes Please! With A Super Duper Clean Cloth Interior, Auxiliary Audio, And Matching Meaty Yokohama Mama Tires! Great Color Too Right?!? It Even Has 2 Sets Of Keyless! Whaaaaa?!? That Never Happens! Well It Happens All The Ding Dong Time Here At N&P! You Better Believe It! Better Hurry! You Already Know It's Gonna Sell Fast! Like, Later Today.....Or Tomorrow For Sure!